A late artist sailor who knew ships and the sea is the focal point for an art exhibition at the Victory in Picton. 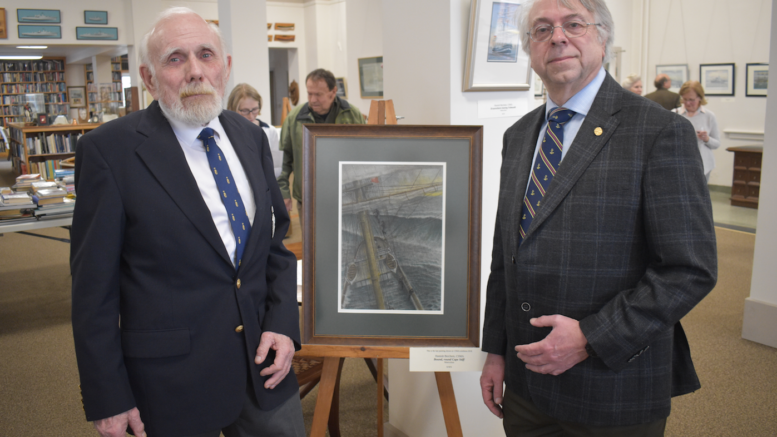 The work of Hamish Berchem which includes a special exhibition of original watercolours and various prints are on display at the Naval Marine Archives until May 2 and span the subject he knew and loved so well. A native of the shipping town of Ayrshire, Scotland, Berchem was at sea most nearly all of his adult life, serving in the Royal Navy, Merchant Marine, Royal Canadian Navy and Canadian Government Research fleet. The subjects of his artwork are predominately ships and marine scenes, a natural combination according to close friend and colleague George Zimmerman. Zimmerman, himself a naval man for nearly 40 years, served with Berchem a number of times and the two sailed together in retired life. “He told me one day ‘George, I’ve had two big passions my life- One was to be a naval officer at sea and the other a professional artist and I can say I’ve accomplished both.’,” Zimmerman told the Gazette at the Berchem retrospective launch on Friday afternoon. Berchem was able to serve a lively career at sea with several highlights including serving as the navigator on the HMS Excalibur when that submarine vessel broke the world speed record of a dived boat in 1958. 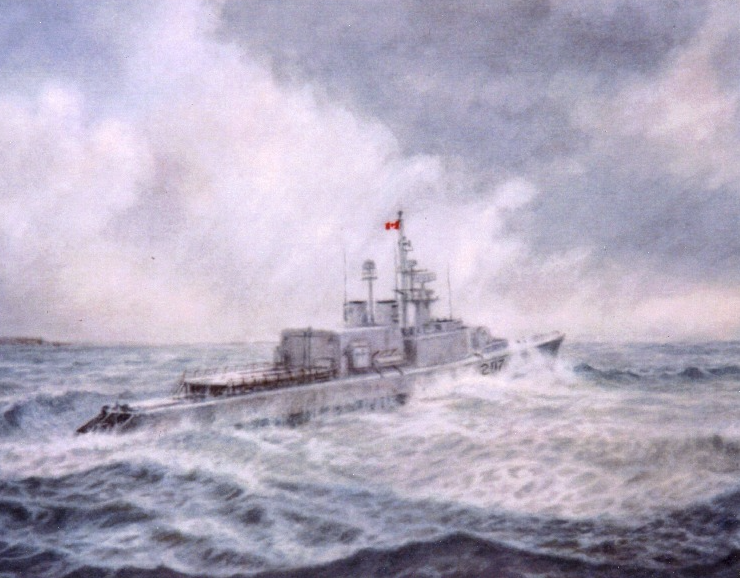 The Scot also served as the Commanding Officer of the submarine HMCS Grilse when that ship was turned back over to the United States Navy in San Diego, CA in 1969. A member of the Canadian Society of Marine Artists since 2010, Berchem’s work illustrates his ability to play off the sea and sky against one another as a vibrant back drop to a mighty and true vessel either sailing full steam at sea or gingerly returning to port. While the majority of Berchem’s work is of a military nature, a piece depicting the ill-fated Edmund Fitzgerald is a stunning work that appears to show the merchant iron ore carrier just moments before she broke up on Lake Superior. An experienced seaman, Zimmerman said Berchem’s art captures perfectly the nuanced juxtaposition of sea and sky. The exhibition runs through to May 2 and many of the watercolour paintings and prints are available for purchase.